The DataLocker DL2 is a secure portable hard drive that offers hardware based, military-grade encryption. 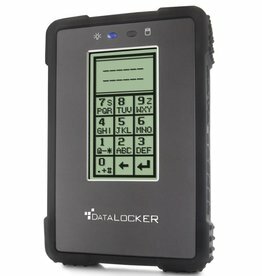 The entire DataLocker DL2 device (including both the crypto engine and the enclosure) are FIPS 140-2 validated, issued by the National Institute of Standards and Technology (NIST). No software or drivers are ever needed to manage, encrypt, or deploy the DataLocker DL2. All encryption and management functions are performed at the device level, 100% independent of the host computer. Simply connect your device, authenticate with your personal pass code, and go.